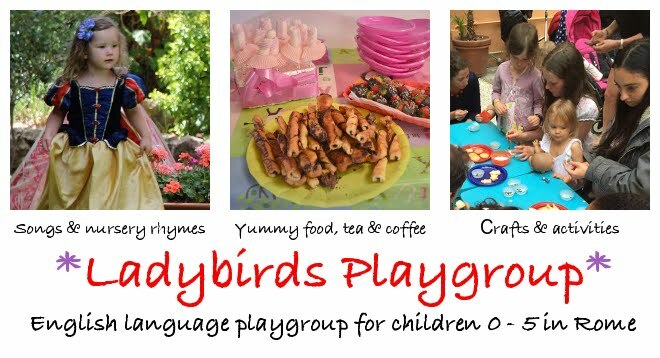 Ladybirds is holding a weekend event! 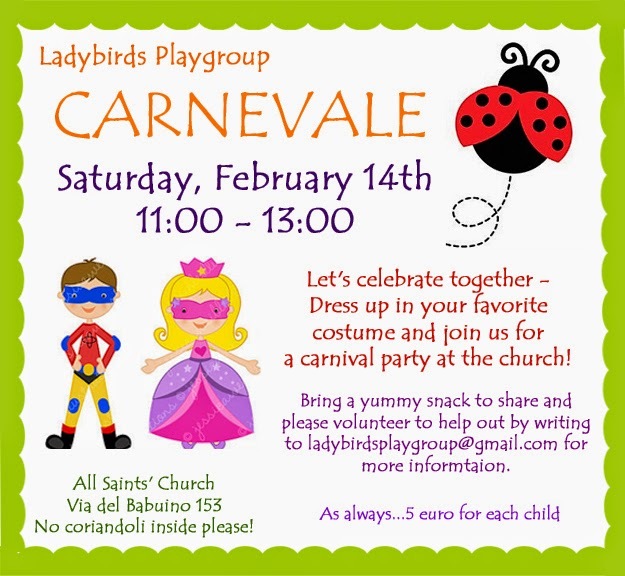 Please join us for a carnevale party at All Saints' Church on Saturday, February 14th from 11 - 13:00. Please have your children come dressed up with something delicious to share. The event costs 5 euro per child and we kindly ask you to not bring coriandoli inside. Please - also respond to this email, if you would like to help out. We are always looking for volunteers. Great Idea,Keep up the good work.